Blockchain has been promoted from an esoteric hushed technology name to a mainstream technology used in applications and solutions for financial institutions, multi-national corporations, governments, and other industries. With this rapid turn of events, a major chunk of which took place in 2017, this year seems to be the determining and ripening year for the technology. Bitcoin was the first decentralized currency to gain global attention, and the technology behind it, Blockchain, was first viewed as a decentralized ledger technology that could be used only in the financial services domain. As time went by, Blockchain gained momentum and businesses in all other industries started searching for ways to implement it in their sector. With this, there is a rising demand for decentralized blockchain application development companies to innovate and experiment in the ways the technology can be leveraged across industries. Open-Source – The application’s source code is freely available to all. Decentralized – The underlying database of these applications is similar to Blockchain, that is, a cryptographic technology. Incentive – The application has cryptocurrencies and tokens, either of its own or the currently available ones that fuel its operations. Always available – Since these applications are decentralized, they are not owned by anyone. Furthermore, these applications cannot be shut down by anyone. When these features, and all of them, are a part of any application, the app can rightly be called a DApp. 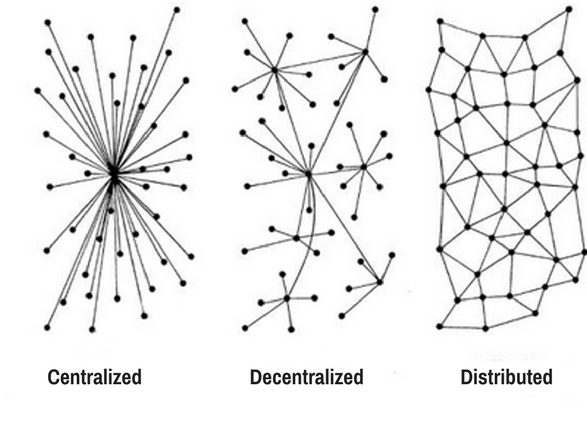 Is Decentralized Different From Distributed? When we talk about Distributed apps, these are the software solutions that have their computation spread across a number of nodes. However, decentralized points to the absence of a central authority in a software solution. This means that no node, in particular, tells the other one what or what not to do. In such a case, if one of the nodes fail, the system experiences no failure overall. Bitcoin is a system that is distributed as well as decentralized. It is distributed because of the Blockchain technology that is present on multiple nodes worldwide, and it is decentralized as there is no single authority that governs the system. Before we jump into the nitty-gritty of decentralized apps, take note that Blockchain is simply a type of database that is decentralized, massive, and secure. And, while the Blockchain enthusiasts have grown in number, there is a lack of expert decentralized app developers, and there is room for everyone. There are three approaches to develop decentralized apps. 1. Platform or Type I DApps – This software approach suits the first-timers- the developers who are trying their hands at DApps for the first time. This approach allows you to build a new Blockchain token system either from scratch or by forking the existing Blockchains. Bitcoin and Ethereum are the examples of Blockchain Type I DApps. When you have the ability to distinguish yourself in the Blockchain space, and you have a new direction for Blockchain development, this is your software approach of choice. 2. Software or Type II DApps – This is an approach where the pre-existing software platforms are leveraged, which can be Bitcoin, Hyperledger, or Ethereum. This approach to development is suitable when there is a solution that needs to be developed for a specific problem. Since the Blockchain platform you base your solution upon will handle the specifics, you need less technical knowledge to build a software DApp using Type II approach. However, with the benefits of the underlying Blockchain platform, you also get its limitations and bugs, which are quite a few in all Blockchain implementations. 3. Specialized Software or Type III DApps – This is the approach for building a plug-in or a protocol that integrates seamlessly with other Blockchain protocols or apps. These apps are not built on top of a Blockchain but on top of a Blockchain service. When you care less about the Blockchain code and forking it, and you want to build a specialized software, this approach is the best for you. You get the features of the underlying Blockchain technology, and the characteristics of the community project you work on. With an idea and an implementation in mind, you will be able to select your ideal DApp development approach readily. At CDN Software Solutions, we believe in experimentation and innovation. We are of the opinion that playing safe in the IT industry costs a lot. And, thus, we were among the first companies to jump into the Blockchain pool with our development services. Blockchain Consulting to guide you on Blockchain implementation in your business. Your one-stop shop for all Blockchain-based needs – CDN Software Solutions!